Add extra fun to your next company event, picnic, birthday party, or special occasion. 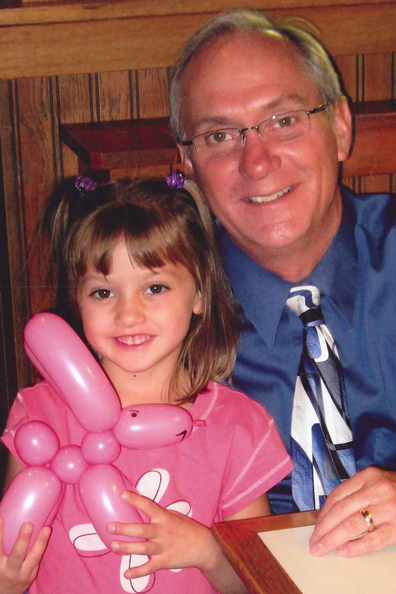 Hire Loni, aka Balloon Artist Idaho to twist balloons for your attendees. 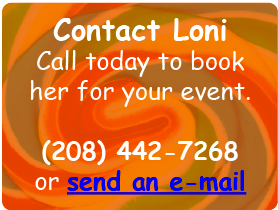 Loni has been bringing extra fun & excitement to parties for years. With a skill for twisting unique balloon creations & connecting with people, she will be sure to make your event a success. Need a unique gift for a friends retirement, graduation, new driver, or birthday? Commission Loni to model a unique balloon sculpture for the special occasion. 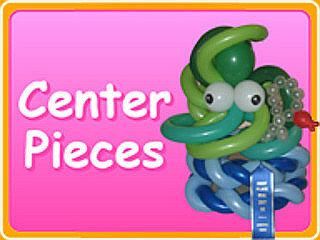 Let Loni twist together delightful decorations for the holidays . Whether you need a few table decorations, or custom balloons for each participant at your event, Loni, will create the perfect decorations for your needs. Trying to master the art of balloon twisting? Loni will help. 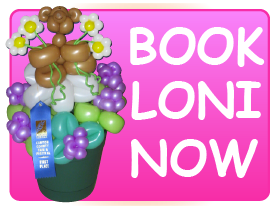 Loni offers individual & small group balloon lessons. 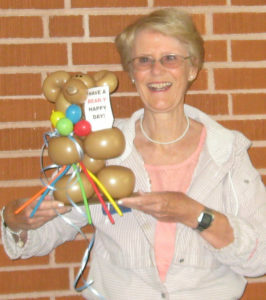 Loni Trude, also known as Balloon Artist Idaho is an amazing balloon artist with a passion for getting smiles from young and old alike. She has expanded her business over the years to business-related events. Balloons are loved by everyone young and old and Balloon Artist Idaho guarantees that you will have a line around the trade show bend when you hire her to be at your booth! Consider Balloon Artist Idaho for your grand opening, chamber events, trade show booth, fair and networking events. Don’t forget she also does birthday parties, anniversary celebrations, and retirement parties. 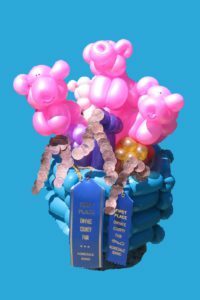 The “Three Little Piggy Banks” won “First Place” & “Best of Show” awards at the Owyhee County Fair & “Best of Show” at the Canyon County Fair in 2010. Incidentally, the photo won first place at all three county fairs. “Loni makes make-believe come alive.” – Dottie C.